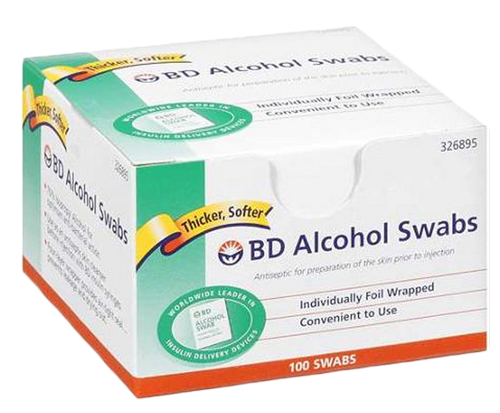 These BD Alcohol Swabs are thicker and softer than other swabs. Their shelf life is longer and more reliable, thanks to high quality packaging. 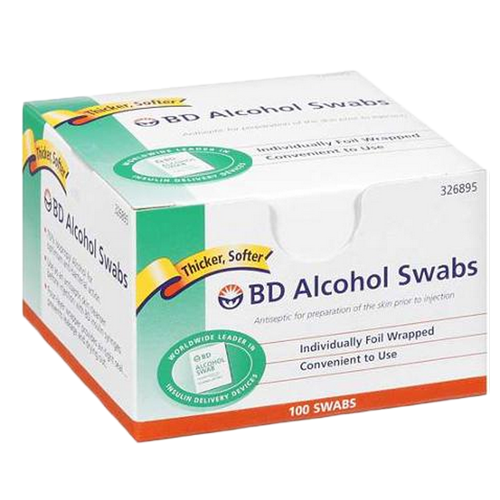 Thicker, softer Alcohol Swabs make injection site preparation easier and more comfortable. These are 70% isopropyl alcohol wipes that ensure safe and hygienic insulin injections. Swabs are individually wrapped in quadruple-layered foil pouches for an air-tight seal. This packaging prevents the swabs from leaking and drying out. The thickness of these swabs even makes them usable for a variety of household applications. Nowadays most other alcohol swabs have a funny odor that triggers my migraines; BD does not. Also, Vitality Medical ships swabs scent-free, whereas swabs in drugstores (if I can even find BD swabs in drugstores anymore) have been on the shelf next to the scented [take your pick] and absorbed that scent. I have insulin-dependent diabetes and stash these all over the place: purse, luggage, car, bedroom, and desk. In the past I've opened store-brand swabs and find the alcohol is all evaporated (yes, they might be old) and they are useless. I've never had that problem with the BD brand. Fast shipping. Compared with WEBCol - just the right amount. WEBCol - not enough. The usual thing that nurses like me do is injecting medicine to a patient. If you handle several patient wards in a shift, anything that can save time will be a great help. This product is one of them. It saves us time because all we need to do is to take it from its container and then we can swipe it directly to a patient's skin. Getting cotton and putting alcohol in it wastes time. I would also suggest homes to have this.